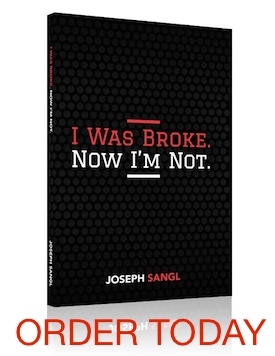 In this series, I am sharing five reasons to lead the I Was Broke. Now I’m Not. personal finance study at your church or business. Part 4 You will learn as much from the participants as they learn from the study! As we developed the I Was Broke. Now I’m Not. Group Study, we had several thousand people participate in it. I personally sat in on the group discussion, and each time I was BLOWN AWAY by the knowledge shared! I learned money saving tips. People shared financial victories that they had experienced. They also shared failures (which we can ALL learn from). You can be a part of this effort by leading the I Was Broke. Now I’m not. Group Study. You can learn more about the study and purchase kits HERE.